Physiotherapy can help get your pet back to their best! Whether your canine companion or your competition horse has suffered an injury, received surgery, or displays signs of degenerative disease and pain, complementary therapies such as physiotherapy can assist in their welfare and care. Physiotherapy isn’t just for people! It is now becoming a popular treatment in the veterinary sector and can be carried out on the majority of animals! It is most commonly used in dogs and cats but I do have the odd pig, cat, goat, sheep and rabbit on my books! The aim of physiotherapy is to restore and maintain range of movement, as well as the function and performance of the animal. It is also aimed at restoring the patient’s independence post-surgery or injury. Treatments vary as do the conditions that are treated by physiotherapy. Hands on techniques such as soft tissue massage and trigger point are popular methods, but passive range of movement techniques, assisted exercises and modalities such as cavaletti poles, balance pods and electrotherapies such as ultrasound, PEMF, laser therapy and electro stimulation are all commonly incorporated into treatment plans. Each treatment plan is tailored to the individual patient. It is importance that the therapist selects to right program and tools in order to ensure the best outcome for the patient. A huge part of a rehabilitation treatment plan is owner education, this aims to allow the owner to help their pets at home and be fully involved in the rehabilitation process. As well as the owner being hugely involved in the process it is essential that there is a multimodal approach. This is where the veterinary team, physiotherapist and client all work closely together and may include other areas of interest such as hydrotherapists to ensure that the animal is receiving the very best care and is progressing as it should. Physiotherapy can be used to treat a variety of complaints. These include spinal conditions such as intervertebral disc disease; joint complaints such as hip and elbow dysplasia, arthritis; neurological conditions, injuries to the muscles, tendons and ligaments; fractures; age related degenerative issues; post-surgery and pain management. Physiotherapy is extremely beneficial when used as a preventative and can help with early identification of injuries and conditions that can be treated by the veterinary surgeon at the earliest convenience. The benefits for physiotherapy are huge! There are many research papers that will detail the importance of using physiotherapy to complement traditional veterinary treatment for an animal. Physiotherapy is known to help rehabilitate animals quickly post-surgery and injury, ensuring that there is an improvement in function and quality of life. Physiotherapy has also been shown to assist with working and competition animals to increase and optimise their performance. As with any type of job in any industry, there are some politics surrounding Animal/Veterinary physiotherapy. This is derived from who can and can’t practice, how to train, what qualifications you need before you train, which association is better to be attached to and so on! There is an awful lot of misleading information on the internet as well as being given out and it can all be very confusing for owners and veterinary surgeons alike! There is not and there never has been, any legal requirement to be a human physiotherapist in order to work with animals and become an animal / veterinary physiotherapist. In the same way that vets do not have to be doctors and vet nurses do not have to be human medical nurses, animal physiotherapists do not have to be human physiotherapists! Some have chosen to make the transition from human to animal, but they have to undertake further training to do so. This does not mean that they are more highly qualified than those that have chosen the animal pathway. There is no need to only seek the help of a ‘chartered veterinary physiotherapist’, there is actually no such thing! Now in the profession we know that this title has been used by some practitioners, but there is actually no such title as “Chartered Animal Physiotherapist” or “Chartered Veterinary Physiotherapist”. The Charter is purely related to the human physiotherapy field and has no bearing on animal physiotherapy. If you are in any doubt who to contact in order to find a veterinary physiotherapist in your area, please take a look at associations such as ASSVAP, IAAT, IRVAP, NAVP, ACPAT who will have a list of suitably qualified therapists in your area. As with humans, a dog’s spine is made up of small bones called vertebrae. These small bones extend from the base of the skull and continue to the end of the tail, interconnected by small cartilage like discs. These small discs are better known as intervertebral discs, with the main function of cushioning between the vertebrae during every day motion. Within each of the vertebral bones is a channel in which the spinal cord is housed. The vertebrae protect the spinal cord from damage, however; where there are gaps for the intervertebral discs, in which the spinal cord will run over the top of these. The spinal cord is made up of many nerve fibres that carry messages from the brain to the body and vice versa. As the animal ages or in the event of trauma, the intervertebral discs can become weaker and may eventually rupture or herniate, which will cause a portion of the disc to protrude and place pressure on the spinal cord. This pressure can prevent or inhibit the nerve impulses along the spinal cord as well as cause pain, weakness, paralysis, loss of sensation and in some cases the animal may be unable to control urination or defecation. Disc herniation most commonly occurs in the neck, middle or lower back of the patient. In cases where the herniation occurs in the neck, the animal may show signs of the whole body being affected whereas if the herniation occurs in the middle or lower back regions, the signs may only show in the rear legs and occasionally in some of the abdominal organs. Although any breed of dog can be affected, it is more commonly seen in breeds such as Corgi’s Dachshunds, Basset Hounds to name a few as they are likely to have a genetic predisposition. Disc herniation can also be the result of a trauma such as a road traffic accident or jumping from furniture. In order to make a diagnosis the veterinary surgeon will use findings from a physical examination as well as diagnostic tests such as radiographs, myleograms and MRI scans. These diagnostic procedures will help to find the exact location of the problem as well as determine whether more than one disc is involved. Treatment options will vary depending on the findings. Where there are mild symptoms present the veterinary surgeon may opt for a medical / non surgical approach to treatment. This may involve temporary cage rest or confinement to prevent further injury. This option will usually be in conjunction with medications that help to reduce the swelling around the spinal cord as well as those that aid pain relief. In cases where surgery is recommended, the protruding disc / and or surrounding bone will be removed to relieve the pressure from the spinal cord. Prognosis is generally good if the animal still shows a response to deep pain in the affected limbs and the surgery has been carried out quickly. In circumstances where there is reduced deep pain response or paralysis, a more guarded prognosis may be given, particularly if the treatment has been delayed. Physiotherapy can play a huge role in the recovery of the patient. This may include swimming and other water exercises as well as passive range of motion exercises. Massage therapy can be indicated to stimulate the blood flow to the affected area, as well as reduce overall pain and stress. Did you know that rehabilitation is becoming one of the fastest growing sectors of veterinary medicine? If your pet is struggling after an accident, surgery or the general old age wear and tear of the body, physiotherapy can be a decisive factor in aiding its recovery. In order to ensure successful outcomes of physiotherapy, it is very important that certain principles are observed. The most important principle is that the physiotherapist seeks the permission/referral of the treating Veterinary Surgeon. A diagnosis of an injury or illness can only be made by a qualified and registered Veterinary Surgeon. The Veterinary Surgery (Exemptions) Order 1962 allows for the treatment of animals by ‘physiotherapy’ provided that the animal has first been seen by a veterinary surgeon who has diagnosed the condition and decided that it should be treated by physiotherapy under his/her direction. The overall outcome of physiotherapy treatment tends to be better the sooner the physiotherapy is carried out, after injury or surgery. Following veterinary diagnosis, it is a veterinary physiotherapist’s role to return the individual to full and pain-free health. The physiotherapist will use their knowledge and the application of correct physiotherapy and rehabilitation techniques to ensure that the animal, handler and / or owner follow a carefully devised treatment plan in order to gain full health. One of the most commonly treated conditions is Osteoarthritis (OA). Osteoarthritis is a painful,degenerative disease, which affects the animals joints causing them to become inflamed and painful. This in turn causes low levels of activity, stiff movement, and obvious lameness. Older dogs especially are at high risk of this disease as are dogs that have been through orthopaedic surgeries. Following veterinary referral for arthritis, your pet may be able to benefit from the skills of a veterinary physiotherapist who can massage and treat their affected joints, carry out stretching exercises as well as devise a treatment and lifestyle plan that will help you and your pet in your everyday home routines. Another common area for rehabilitation is post operative rehabilitation. Animals that have recently recieved surgery for cruciate repair, fracture repairs as well as other orthopaedic conditions benefot hugely from physiotherapy. After surgery an animals muscles may be painful and tight. Stretching exercises can be used to encourage movement. Your pet may be lacking muscle mass or holding their limb in a compensatory manner. This must be discouraged in order to allow healing. Physiotherapy can help encourage weight bearing and promote muscle development. A physiotherapist will be able to devise a plan that will assist the recovery of your pet and get them active and functioning again in good time. Physiotherapy can also help maximise the performance of competition animals. Horses and dogs are commonly used in eventing and agility and can suffer injuries as well as suffer from strains post competing. These animals can be more exposed to risks such as soft tissue damage. If you need your dog or horse to perform for specific events, then a physiotherapy session may help to alleviate soreness, stiffness and tissue damage so that your dog can perform to its best abilities. Co-ordination can also be aided by a veterinary physiotherapist. A Physio can help to re-educate your dog, developing its eye/paw co-ordination through strength and movement exercises, such as ‘weaves’ and ‘figure of eight’. Did you know that physiotherapy is covered by most insurance companies?! This means you can focus on your pets health rather than finance being a constraint. It is important to note that although most of the common pet insurnace plans will cover physiotherapy, you should always contact your insurance company for confirmation first as well as how much the policy covers. The definition of ‘elbow dysplasia’ is basically abnormal development of the elbow. The elbow joint itself consists of 3 main bones, humerus, radius and the ulna. If these bones do not fit together, there will be high contact pressure which in turn leads to complications listed above. Elbow dysplasia is a genetic disorder and is the most common cause of forelimb pain and lameness in large and giant breed dogs. The most commonly affected breeds are Labrador Retrievers, Golden Retrievers, Rottweilers, German Shepherds and Newfoundlands, to name a few. Clinical signs are typically seen from 4 -10 months of age, with a diagnosis being made within the first 18 months of the pups life. Regardless of which type of elbow dysplasia is present, the signs and symptoms of the condition are the same. Lameness if often triggered by exercise. The dog will seem sound while running around and walking; however, afterwards they will limp freely. In most cases, orthopaedic examination will show pain and swelling to the joint with a degree of restriction in the joints normal range of movement. This is due to joint thickening as a result of arthritis. In order to start a treatment regime, early recognition of the symptoms is the key. It is important to book a consultation with your vet and discuss the signs and symptoms that you have noticed, this will help your vet diagnose the condition. In severe cases, your veterinary surgeon may recommend a surgical solution. However, for many dogs, the combination of a good, balanced diet, consistent exercise regime, anti-inflammatory drugs as well as joint supplements will aid the management of the condition. It is vital to discuss the options fully with your vet who will help you choose the right treatment plan for your pet. In order to diagnose elbow dysplasia the dog will need to undergo radiographs ( X-rays). This will involve sedation or anaesthesia, due to the discomfort that may be produced while positioning and manipulating the limbs for the procedure. 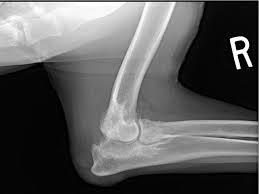 In some cases it can be difficult for the veterinary surgeon to see very early changes within the elbow, so it is sometimes necessary to send the radiographs to a specialist who can recognise changes within the joint. The treatment options can vary depending on the radiograph diagnosis. Your veterinary surgeon may opt for surgical management that will vary depending on the type of elbow dysplasia diagnosed. In some cases medical management of the symptoms is preferred. This can involve a low impact exercise program, weight management as well as non steroidal anti-inflammatory (NSAIDS) drugs to help decrease the pain and inflammation present. It is important to note that usually, degenerative joint disease will occur as the animal ages regardless of the treatment option selected. It will be important to treat these arthritic changes in order to keep the dog as comfortable and pain free as possible. Dogs that have been diagnosed with this condition will benefit from physiotherapy. Whether they are managed surgically or medically, a bespoke treatment plan will be designed to ensure that the dog continues to lead a full and comfortable life. Regular, low-impact exercises such as swimming and physiotherapy can be beneficial in the management of elbow dysplasia. These, alongside a balanced diet and anti-inflammatory medications, can help to reduce the pain and discomfort that your dog may be suffering from. Massage and passive range of movement (PROM) exercises can help to increase your dog’s mobility. These exercises will help to build and restore lost muscle tone as well as assist with pain management. Hydrotherapy also plays an important role in the rehabilitation process and complements physiotherapy well. The buoyancy of the water allows them to exercise without overloading and stressing their joints. It will also help to increase and strengthen areas of muscle loss, which will help to support the joints. It is essential to diagnose and treat elbow dysplasia as early as possible, this is key in maintaining the dogs wellbeing. Elbow dysplasia is a degenerative disease of the joints that will only deteriorate the longer it is left. For further information regarding this condition, please contact your veterinary surgeon or myself for details. The physiotherapy training / association myths ended! To be fair, the truth is actually very simple! So the following information should help you understand the common myths. Myth 1) some people tell me I should use a Veterinary Physiotherapist and not an Animal physiotherapist, what the difference? Basically the title! Animal physiotherapy and veterinary physiotherapy is essentially the same thing! Recently people have started to use the title “Veterinary Physiotherapist” but actually “Animal Physiotherapist” was the original title. The main reason I chose to use ‘Veterinary’ is that I come from a veterinary background, having first trained as a Veterinary nurse, therefore, I choose to use that title. Absolutely not! There is not and there never has been, any legal requirement to be a human physiotherapist in order to work with animals and become an animal / veterinary physiotherapist. In the same way that vets do not have to be doctors and vet nurses do not have to be human medical nurses, animal physiotherapists do not have to be human physiotherapists! Some have chosen to make the transition from human to animal, but they have to undertake further training to do so. This does not mean that they are more highly qualified than those that have chosen the animal pathway. Myth 3) I have heard people use the title “Chartered Animal/Veterinary physiotherapist” who are they? There is actually no such thing! Now in the profession we know that this title has been used by some practitioners, but there is actually no such title as “Chartered Animal Physiotherapist” or “Chartered Veterinary Physiotherapist”. The Charter is purely related to the human physiotherapy field and has no bearing on animal physiotherapy. Myth 4) I’ve heard that some Animal/Veterinary physiotherapists are officially registered and regulated by the RCVS, what does this mean. Simple answer – There is no official register for Animal/Veterinary physiotherapists. At present there is no intention by the RCVS to even create one. Chartered physiotherapists are registered; however, this is in their capacity as a human physiotherapist and not as an animal physiotherapist. If you see an animal physiotherapist use the term “registered” or “regulated” this would actually be with their own association such as ASSVAP, IAAT, IVARP, ACPAT etc and not with or by the Royal College of Veterinary Surgeons. 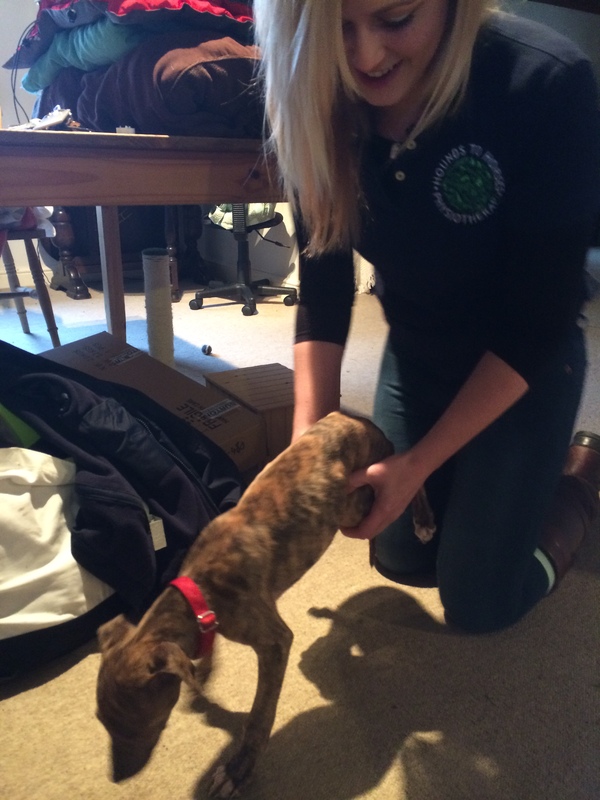 There is also no official recognition given by the RCVS to any animal physiotherapy course or association. Professional bodies such as ASSVAP, IAAT are in discussion at present to help regulate the profession, but this is still a long way off at present. Yes, but only in the human field. There is no such title used within the animal sector. “Prefixes such as ‘animal’, ‘equine’, ‘veterinary’ or ‘industrial’ show there is no intention to deceive because the prefix clearly indicates that the person concerned does not treat human beings” (www.hpc-uk.org). So technically, it is true that anyone can use the title “Animal physiotherapist” or “Veterinary physiotherapist” regardless of their training. However, due to the The Veterinary Surgeons Act 1966 and Veterinary Surgery (Exemptions) Order 1962 all animal physiotherapy is carried out under veterinary referral and it would be very unusual for a veterinary surgeon to refer to an unqualified animal / veterinary physiotherapist. Due to a huge amount of competition in the profession, there are some individuals that will sometimes employ professional body tactics in an attempt to put their selves above others. This alongside the lack of information that veterinary practices receive about the training of physiotherapists also doesn’t help! We in the profession know that there are many misleading statements that relate to memberships to particular associations and that if you join / are a member of these, you are better than the rest; however, quite frankly it’s just ‘hot air’ and competitive competition tactics! If you are in any doubt as to who to use, then please get in touch with a professional body who will be able to help you find a physiotherapist in your area. Why does my physio ask for vet consent? Each time that you use a therapist such as a physiotherapist, a chiropractor which may include McTimoney, or an osteopath, they are actually required by law to ask the treating veterinary surgeon (your vet) for their permission to treat the animal. When it comes to other complementary therapies carried out by a massage therapist, Bowen practitioner, Body works practitioner, TTouch practitioner etc, they are encouraged to inform the vet as it is considered good practice. Basically, if you ask someone to come and look at your horse, dog or cat, that person should always tell your vet. If they are only visiting to carry out a basic assessment or basic massage it is not obligatory, but still considered good practice. These two Acts explain who may diagnose and treat animals. The act of examination with the aim of giving a diagnosis of an ailment or disease is an act of veterinary surgery and may only be performed by a qualified and registered veterinary surgeon. Once the diagnosis has been made, the veterinary surgeon may then pass the treatment on to a suitably qualified person, i.e. a veterinary physiotherapist. There are two pieces of law which are relevant to veterinary physiotherapy and your chosen therapist should abide by them. The Veterinary Surgeons Act 1966, Section 19 restricts the practice of veterinary surgery to registered members of the Royal College of Veterinary Surgeons subject to a number of exceptions. Additionally, the Veterinary Surgery (Exemptions) Order 1962 Section 4(a) states that any treatment by physiotherapy given to an animal by a person must be under the direction (i.e. prescription) of a veterinary surgeon. The Royal College of Veterinary Surgeons has interpreted physiotherapy as any manual therapy, which also includes, but is not restricted to, osteopathy and chiropracty. This does not include aromatherapy or acupuncture. It is the act of physiotherapy that is referred to in the 1962 Order, not that it must be carried out by a physiotherapist (which is a protected title). As such, it is important that a veterinary physiotherapist only treats an animal after referral from a veterinary surgeon. By treatment, we mean physiotherapy targeted at an already diagnosed condition, with the purpose of curing or improving that condition. A veterinary physiotherapist may perform a general massage etc on an animal with the owner’s permission for reasons of an approach to improve the animal’s flexibility and movement, such as ‘toning up’. If an animal is presented with an injury or condition that might need attention from a veterinary surgeon, then the animal should be referred back to the veterinary surgeon for investigation. Only a veterinary surgeon can diagnose a disease or condition in an animal and prescribe the necessary treatment. With all cases of general massage, it is generally considered ‘good practice’ to inform the client’s usual vet as well as obtaining consent. This also gives the opportunity to discuss the animal, and may even highlight a previous injury that has been previously forgotten from the animal’s treatment history. This could be important when it comes to the therapist putting together a bespoke treatment plan. What does this mean to me and my animal? The problem that we face is that there are many therapists out there that are actually practising illegally! They don’t ask the vet if they can treat, they may be using techniques or even equipment that they are not qualified or trained to use, or even worse, they aren’t actually qualified or insured! All of the above are significantly detrimental to the health and wellbeing of your pet! You wouldn’t see an unqualified or unlicensed human medical practitioner, so the same really should apply to your pet! 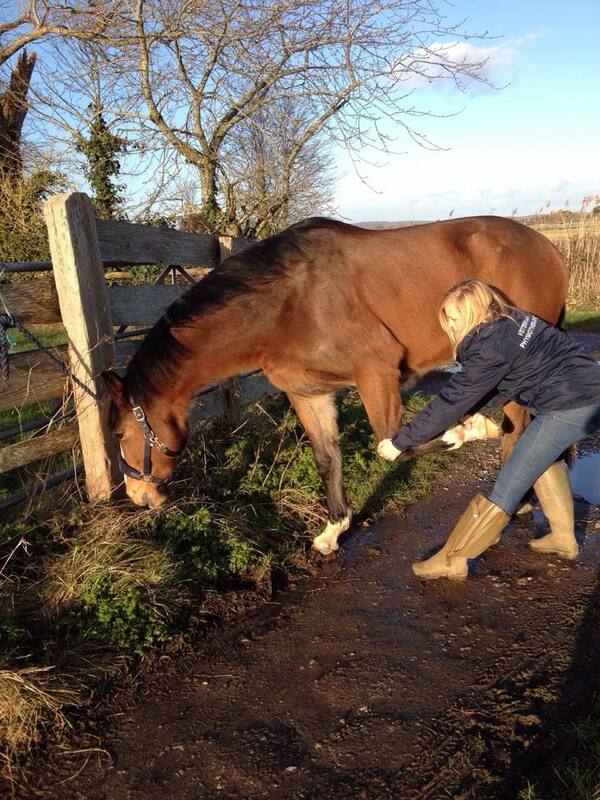 You will have friends / colleagues / yard friends recommending all sorts of people to you, they may even be claiming that this person helped their pet get back into top form, cured a problem and that they wouldn’t use anyone else! Maybe you saw an ad posted in a Facebook group. As an owner you should never be afraid to question your therapist and go with your gut instinct! What qualifications do you have? – don’t be afraid to ask for proof! A therapist will be willing to show you evidence of certificates. Are you insured and what does your insurance cover? – Again, don’t be afraid to ask for proof! Do you work under the Veterinary Surgeons Act? How does this work? Your therapist must ideally be trained to a Level 6 or above (this is equivalent to a Post Graduate, Advanced Certificate, MSc level). The therapist should also have professional and public liability indemnity cover and without this should be nowhere near your pet! They should have a firm understanding of the Veterinary Surgeons Act, how it works and be able to explain it to you and how they work within the legislation. Each therapist should also be a member of a professional body such as ASSVAP, IRVAP, NAVP or ACPAT, all of which ensure high standards of training and Continuing Professional Development (CPD) for their members. If you are in any doubt about selecting a therapist for your animal, get in touch with ASSVAP in order to find out about registered professionals in your area. 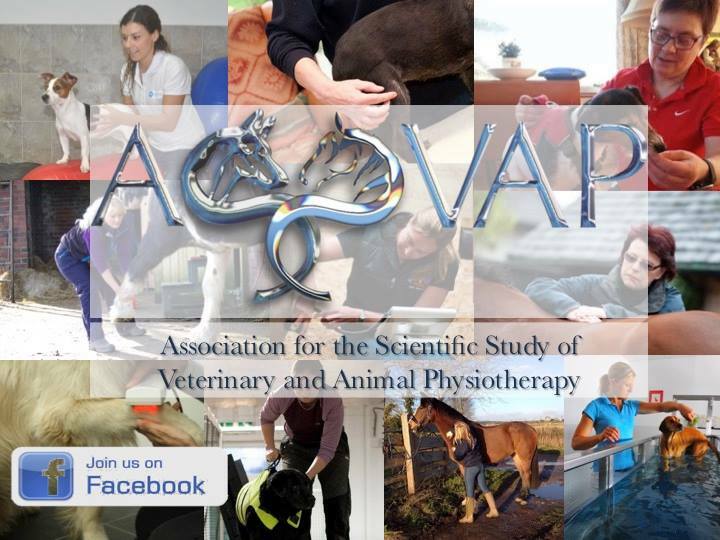 ASSVAP is the Association for the Scientific Study of Veterinary and Animal Physiotherapy. ASSVAP exists to create an interface between vets and vet physios for the exchange of knowledge and expertise to enhance the welfare of animals. Can massage and stretching really benefit my horse? The simple answer to this is yes! Massage and stretching will help to free your horse of tension and knots. This means that they are comfortable, happy and will have increased overall strength and endurance, which is great if they are competing! Traditionally massage therapy has been used as part of a treatment plan. Therapeutic massage is used within post-injury rehabilitation. This treatment enables the horse to return back to work sooner with less chance of re-injury and weakness of the affected area. The aim of massage is to break down any adhesions and scar tissue that may have formed as a result of injury, as well as providing a fresh blood supply and also oxygen to the area, which will optimize the healing process. 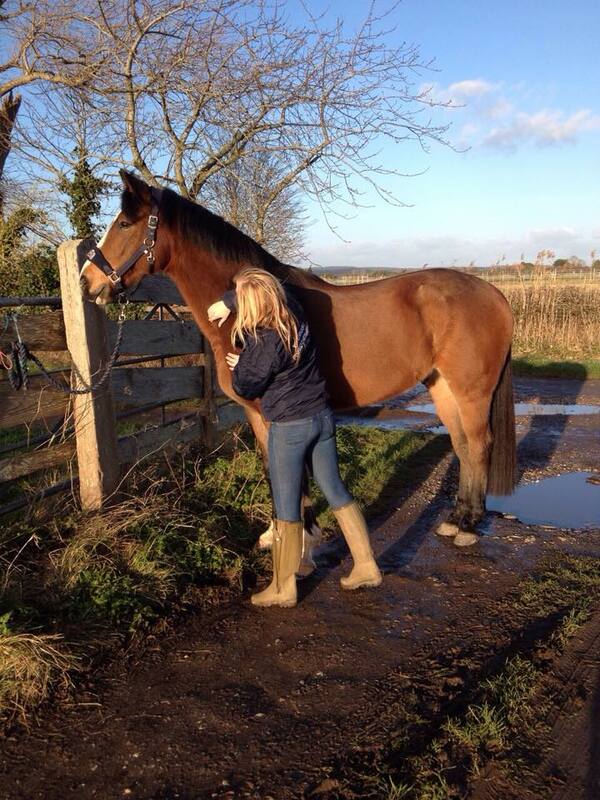 Your physio / therapist will work on the whole body of the horse. This is very important as it means that the horse can function in a balanced way and is less likely to use compensation tactics which mean that your horse will release any compensatory muscle tension that is linked with the original injury. It is vital that massage is never be carried out on an area in the acute stage of injury, which is evidenced by heat or swelling. If this were to happen, it can cause greater tissue damage to the area as massage stimulates blood flow in turn increasing vasodilation. To break this information down, essentially muscles are made of small muscle bundles, these bundles are made up of large amounts of muscle fibrils. When a muscle is built up, it is essentially creating lots of small ‘tears’ within the muscle fibres. These muscle tears will heal and replace themselves with scar tissue. This process can take up to 72 hours approximately to occur. This scar tissue, however, must be broken down in order to make the muscle flexible again. Stretching and massage are proven to help this. Stretching will help the muscle return to its natural shape by increasing blood flow to the area, whereas massage will help the body’s connective tissue to become more elastic, which will allow the muscle to also return to its normal shape. As we know, it is important that horses maintain a good, sound range of motion. If this doesn’t happen then there is an increased likelihood that other areas within their body will start to compensate in order to take up the extra load. This can continue for weeks, months or even years which will cause a constant wear and tear on the body. Over time this damage will cause ruptures, scar tissue as well as thickening and injuries to the tendons and ligaments within the body, inevitably causing great injury and discomfort. A physiotherapist can get an insight to the severity and state of problem areas just touch and visual observation. Under The Veterinary Surgeons Act 1966, only a Qualified and Registered Veterinary Surgeon may make a diagnosis. It is always highly advisable to have a veterinary consultation regarding any injury that your animal may have sustained. Although it is not always feasible for your veterinary surgeon to spend a few hours massaging and manipulating your horse, they may work with the physiotherapist in order to determine a diagnosis. A physiotherapist has been trained to help determine the cause of muscular problems and they can offer valuable information to your vet in order for them to establish a thorough diagnosis. When you are choosing which physiotherapist / massage therapist to work with, there are many areas to consider. People within the industry are keen to offer their input and advice as well as offer their services. My advice is to anyone considering massage therapy for their horse, is to ensure that whoever you use is qualified and insured within their area. Your therapist should be willing to show you evidence of their qualifications as well as give you adequate insurance policy details. There are many different types of animal therapists within the industry and it can be confusing when you are deciding who is best to help with your animal. These professionals include physiotherapists, chiropractors, McTimony practitioners, as well as sports massage and Bowen therapists. How long did they study and where? Do they have copies of certificates and are these available for you to see? If you are in any doubt about selecting a therapist for your animal, get in touch with Association for the Scientific Study of Veterinary and Animal Physiotherapy (ASSVAP) in order to find out about registered professionals in your area. ASSVAP exists to create an interface between vets and vet physios for the exchange of knowledge and expertise to enhance the welfare of animals.